To add new users, click on the “People” tab > Add a person. You can use organizations for various clients, if it’s just a single freelancer, or a vendor that’s an entire organization. At this point, only you (the admin) will have access to this information. 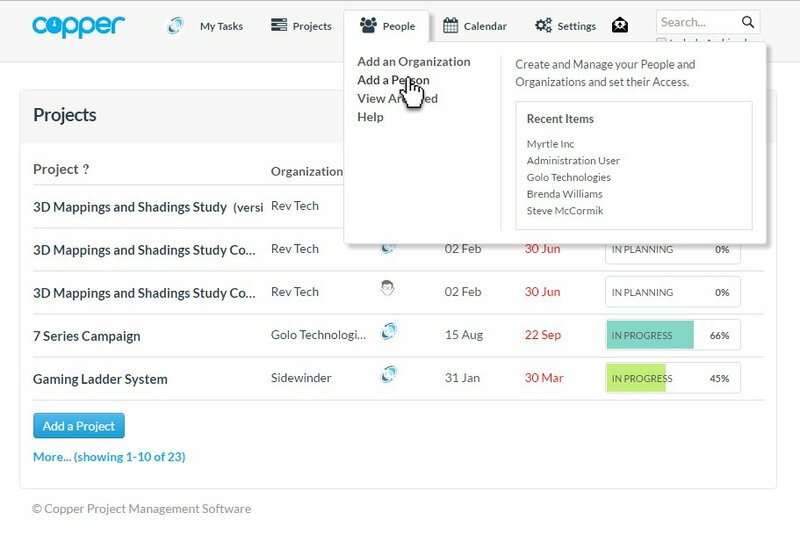 Once you start creating projects and tasks, you can then pin the users you have created, which will then give them access to see the tasks or projects listed for the created organization. 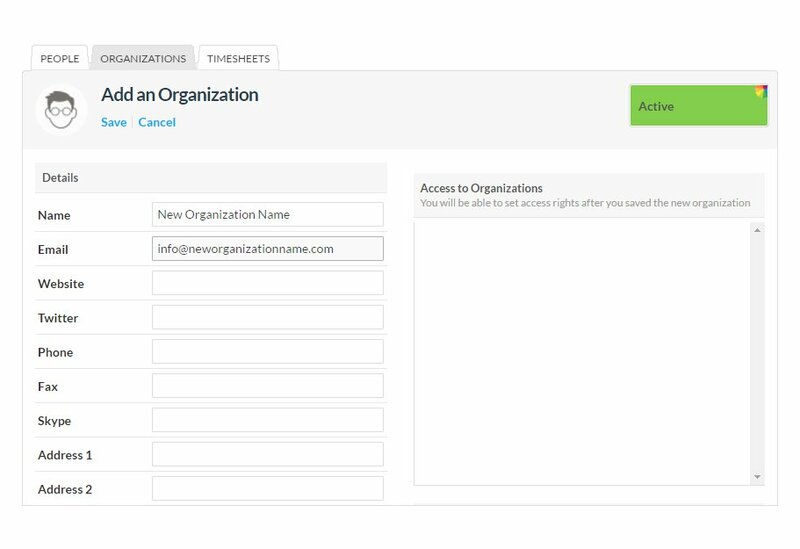 From the Organization tab, click “Add an Organization”. Fill out the information as desired, click save.